Home Career Planning 11th & 12th Are You Taking 11th Seriously? Yay!!!! Class 10th is over. After a year of hard work and continuous studies, it is at last over. Students are really excited while they enter class 11th. Senior year and they think to take some time off from their studies. Students feel like they are grown up and they want to behave like and enjoy all the freedoms of the grownups. They want to enjoy their time as the burden of class 10th is just got unloaded from their shoulders. I remember when I was in class 11th most of my peers used to call it rest period of their lives. During this time, studies take a backseat and all other things are given priorities. Students are poured with several pieces of advice but they won’t give an ear to them. Elders, teachers, seniors try to give the same advice that this is a very critical year but all the efforts most go in vain only few who listen to these they prepare well for the future. Class 11th is quite critical in a student’s life. Firstly, career choice depends on the stream you choose in class 11th viz. Science, Commerce or Arts. This is the year where most of the friends get separated due to they chose different career paths. Everyone wants to be free from the burden of the studies and class 12th is also an important year for studies, but class 11th is not the year which can be ignored. When after class 12th you decide to give the several entrance exams for the admission in various colleges, you will see that about 60% syllabus is given from the class 11th only; it can be any stream entrance exams focus on class 11th strictly. This year is really precious for the preparation of career. 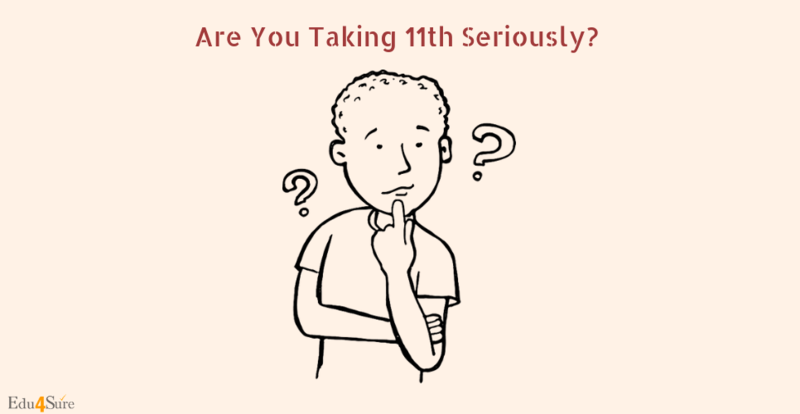 If you want to achieve your goal like becoming a doctor, engineer, manager or an officer, then 11th needs to be taken very seriously. Class 11th students feel a huge difference in the level of Physics, Chemistry, Biology, and Mathematics from 10th to 11th. You must know that the effort is needed to get good percentage in 11th and 12th exams are far more than that required to get a similar percentage in 10th Board Exams. Your goal in Class 11th and 12th is not only to get good marks in your Board Exams but also to score well in the important Entrance Exams. It is your marks in these entrance exams that will eventually decide which colleges you will get into. Remember Class 11th & 12th Board Exam syllabi for Physics, Chemistry, Biology, and Mathematics are more or less the same as that for Entrance Examinations. The difference lies only in the approach required to solve the questions. If you are thoroughly prepared for entrance exams, with a little extra effort, you are bound to do extremely well in 11th Final & 12th Board Exams too. Vice-versa is not true. Even if you have prepared very well in a topic from 11th & 12th exam point of view, you will still need to work hard to make sure your preparation is enough from Entrance Exams point of view. You will see that there is a lot of hindrance in solving questions in Class 11th and 12th. Mere understanding of a concept is not adequate. You need to apply these concepts in solving tricky problems. This will require lots of written practice and problem solving both for Board Exams as well as for Entrance Exams. Try to develop your analytical skills. Do not give up solving a problem after one or two attempts only. It is only by doing & trying to solve difficult problems that you can improve your analytical skills. As the syllabus is vast, you will need to follow a strict study schedule. Quality over Quantity: There are lots of books and problems are available. One has to draw boundaries and focus on quality rather than quantity. Science is not an easy stream, it requires a lot of practice and concept learning is very necessary. Give ample time to all the subjects so that you won’t lag behind in any of them. Instead of mugging of the topics try to understand the concepts and apply them in the problems. There are two different approaches for 11th, 12th and entrance exams. In 11th and 12th you have to write every single step you have applied in the question to fetch the marks but in entrance exams, you have to focus only on the answer, so tricks can work for them. You have to prepare accordingly. Commerce is the totally new concept that arises for class 11th students. Most of the subjects are totally new like Accounts, Business Studies, and Economics etc. It is really important to have proper planning and execution. It is the beginning month of the 12th commerce, so start from the start and develop the habit of studying more and more as the subjects are new. Your focus should be on the core subjects of commerce along with the other three subject to get this score. Few subjects like economics and accounts are more concepts related. Learn how to implement the concept so that your base is strong from the start. Initially go through all the rules, theories, procedures, terminology, of the subjects and prepare and hand notes so you can easily and quickly revise from it. After the initial stage, solve practical questions of accounts of your textbook and if time left then also try some side book. Business studies are completely theory subject along with a wage numerical. Most of the parts are similar and related to each other. Functions, advantages, disadvantages should be learned properly to score more. Few management concepts like scientific approach, Taylor’s and Fayol’s principles are important and must be learned in such a way that you can apply them in real life situations. Economics is reality-based and market related, read all the theories along with the curves which are very important to score. Focus on the numerical of GDP, utility etc with different methods. Commerce is a high scoring stream and once concepts are cleared you can score really well in it. The commerce of class 11th provides a base for the 12th and also it is used in all the management based courses and core commerce career choices. Arts or Humanities is a very good stream. Most of the times it is seen as the stream for students who are weak in studies but this is just a misconception. Most of the IAS and IPS are from the arts background. This stream is ffavoritefor aspirants who aspire to get into administration or associate themselves with some unconventional fields like becoming a historian or psychologist or even a politician etc. T raditionally all the exams either UPSC, SSC or any bank exam all have a part of general awareness in which questions are asked from the class 11th and 12th Arts background. NCERTs are enriched with all the important concepts and information and are always prescribed to read for preparation of any administrative exam. 1) Compulsory subjects: History, Geography, Political Science, English. 2) Optional Subjects: Economics, Psychology, Sociology, dance, music, Fine arts, multimedia, fashion designing, legal studies, graphic designing, physical education, entrepreneurship, philosophy etc. Read as much as you can for the preparation of the Arts subjects. Most of the time you need to memorize the dates, events, theories etc with names of writers, poets etc is required. Jot down the important points and prepare timelines for the events and learn everything in the form of maps and charts this helps in retaining the information in the brain. H ard work and consistency is required in every field so just revise everything daily and read the textbooks carefully. Hence, whatever your stream is you need to start studying even if it is 11th, this will help you in preparing for the upcoming career path you will choose for yourself. 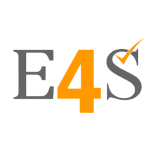 Previous articleWhy Employee Training And Development?